This flexible cash back card gives cardholders more options than most rewards credit cards; however, it charges a relatively high APR for carrying a balance and only gives cardholders 12 billing cycles to pay off a transferred balance. One of the few cards on the market that rewards cardholders for paying bills, the State Farm Rewards Visa pairs a unique rewards program with a modest interest-free promotion, but its standard card APR is a little high for carrying a balance. A poor choice for cardholders on a budget, the TD First Class Visa Signature card charges a high annual fee in exchange for modest rewards and a relatively short 0 perfect balance transfer promotion. The introductory period for balance transfers on the Santander Ultimate Cash Back Mastercard is short, though you can save money on your transfer thanks to the card’s lack of a balance transfer fee. The U.S. Bank Cash 365 card’s introductory period for balance transfers is on the short side and the regular APR is high, though cardholders may enjoy the card’s high rate of cash back on every purchase if they can manage to pay down their balance. 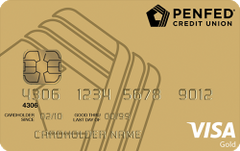 The introductory period for balance transfers is on the short side; however, the PenFed Gold Visa card can save you money in the long run due to its very reasonable rates and fees. The introductory period for balance transfers on the Regions Prestige Visa Signature card is too short and the 4 percent fee for balance transfers is higher than average. One of the most generous travel cards around, the Barclaycard Arrival Plus World Elite Mastercard is a great choice for earning free travel; but it’s too expensive to carry a balance on. 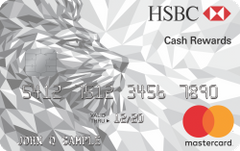 The HSBC Cash Rewards Mastercard offers a long introductory period for balance transfers and new purchases, but its balance transfer fee is on the high side. With its high annual fee and relatively short 12-month introductory period, the PNC Premier Traveler card is not your best option for transferring a balance. However, if you manage to pay down your balance in the first year before the fees and interest rates kick in, you’ll have a very good travel rewards card. The Regions Visa Signature Premium card is a poor choice for a balance transfer: The balance transfer period is too short, the fee for balance transfers is high and the $125 annual membership fee is through the roof.